Polish Barbados from Jan Milek on Vimeo. Training Port Tack from Loick Lesauvage F780 on Vimeo. 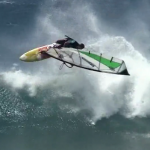 MAKOTO HIGASHIYAMA SHIZUNAMI JAPAN WINDSURFING 2013/7/11 from TEM on Vimeo.